Fun phonics game! 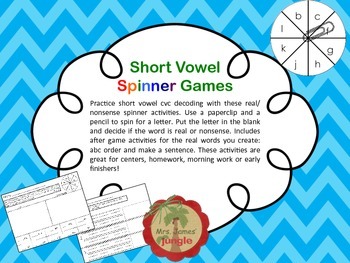 Practice short vowel cvc decoding with these real/nonsense spinner activities. Use a paperclip and a pencil to spin for a letter. 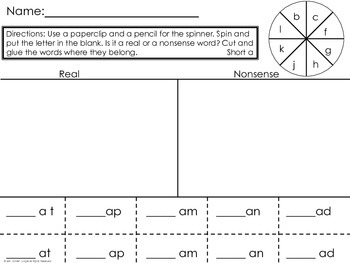 Put the letter in the blank and decide if the word is real or nonsense. 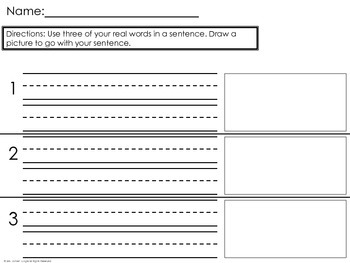 Includes after game activities for the real words you create: abc order and make a sentence. 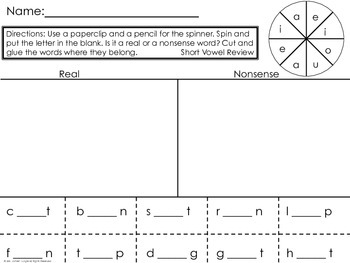 These activities are great for centers, homework, morning work or early finishers!